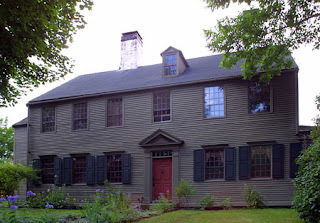 Given the time of year, we decided to further research a local, haunted location. 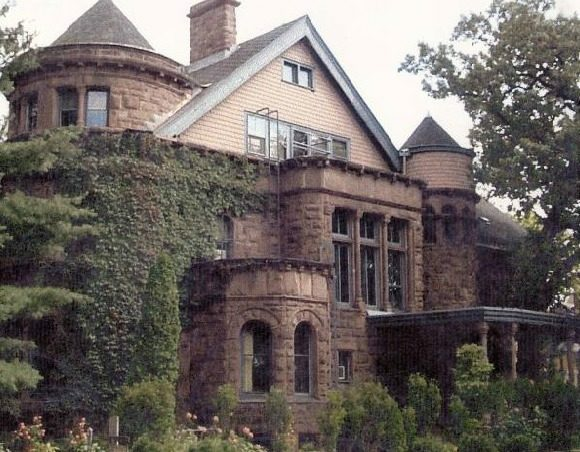 The beautiful sandstone Griggs Mansion, is without a doubt considered the most haunted mansion in St. Paul. 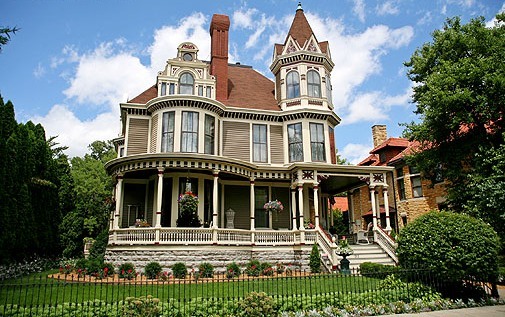 In 1883, a wealthy grocery businessman, Chauncey Griggs, built this lovely mansion. He only lived in it four years, before moving to the West coast. After Griggs moved out, the Griggs Mansion served many purposes including an art school, private residence and apartments. Griggs Mansion has 24 rooms and 9 fireplaces. It was a common occurrence for its occupants to leave shortly after moving in. The Griggs mansion was designed by Clarence Johnston, an American Architect, who at the time was only 23 years old. 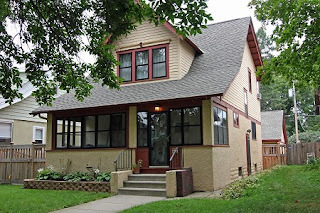 Johnston was a well known Architect in the Twin Cities and was also responsible for other well known Minnesota landmarks including; The Glensheen mansion, and MN State Fair grandstand. Today, Griggs mansion has reclaimed it’s original intent as a single family residence. Most of the supernatural activity seems to be centered around the 4th floor, many other parts of the house have been known to be haunted. Footsteps have been heard in empty staircases, doors open and close by themselves, rasping coughs come from behind closed doors on empty rooms and heavy drapes swing for no reason. A college student staying in a basement apartment woke up to see a floating head of a child above him. Six or seven spirits/ghosts have made their existence known by various means throughout the years. 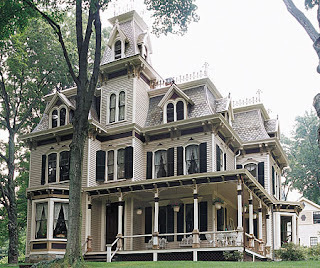 The mansion’s spiritual occupants are a young maid ( who is believed to have hung herself in 1915 in the house), a gardener, a child, a thin man in a black suit, a teenager, and a Civil War General. Purcell is currently working on a project with a very unique style of a roof, a witch’s hat. 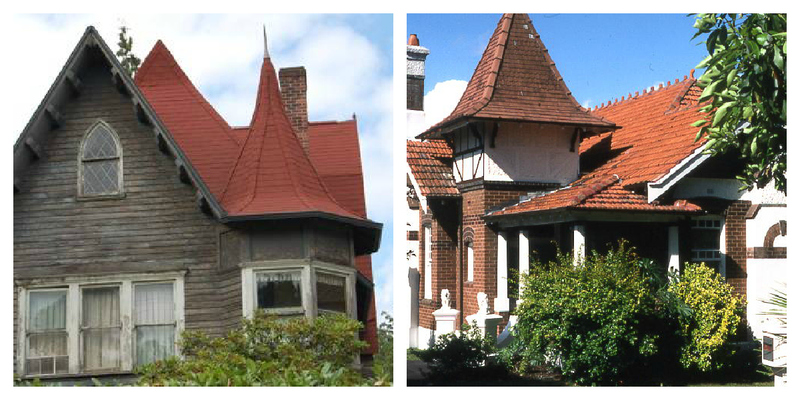 Although not limited to a specific type of architecture, this style of roof is typically seen as a turret on a Queen Anne style home. This style of roof can be seen all over the world. 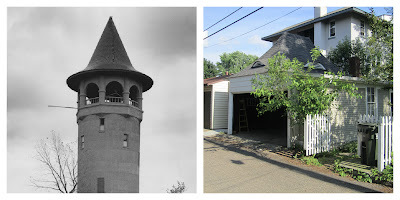 Seen here locally in the Twin Cities the Prospect Park Water Tower was built in 1913 and is one of the most iconic examples of a “witch hat roof”. 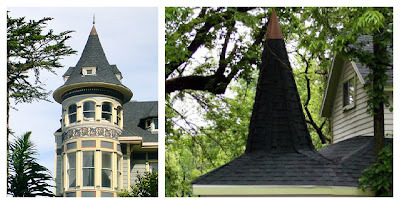 Have you ever seen any examples of this roof style? 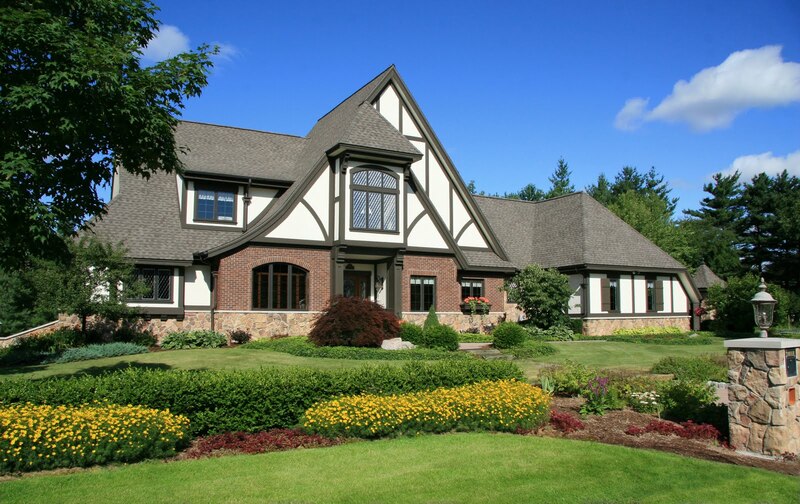 We have compiled a list of traditional home styles that can be found in various parts of the world, but are also found in the Minneapolis- St. Paul area. 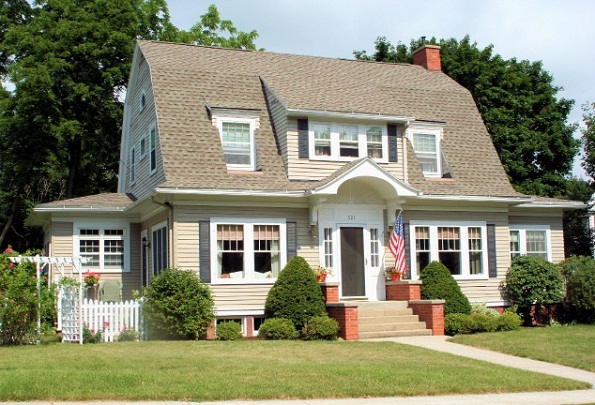 What else speaks traditions like a cozy front porch and an American Flag? 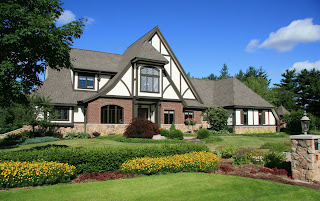 Origins date back to the United Kingdom while the American Queen Anne dates to the mid 19th century. Features include: Mansard rood with dormers set into it, patterned shingles and deep eaves with decorative brackets. We are delighted the client has chose to move along with more renovations! 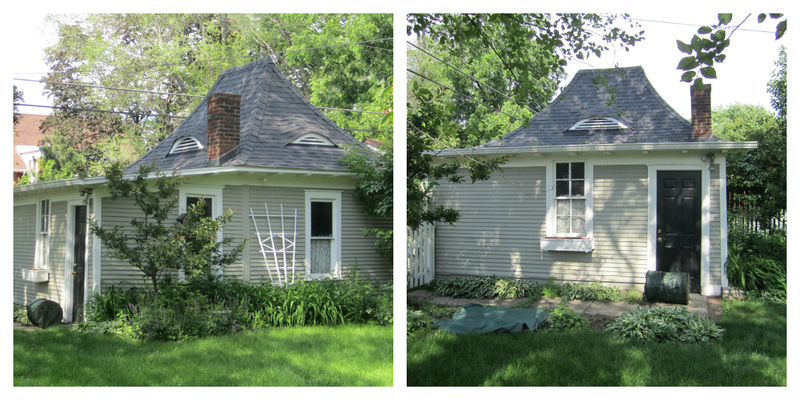 While tearing off the original siding, circa 1922 we found bits and pieces of the original cedar shingles. Interested to know a background we did a little research and here is what we found. 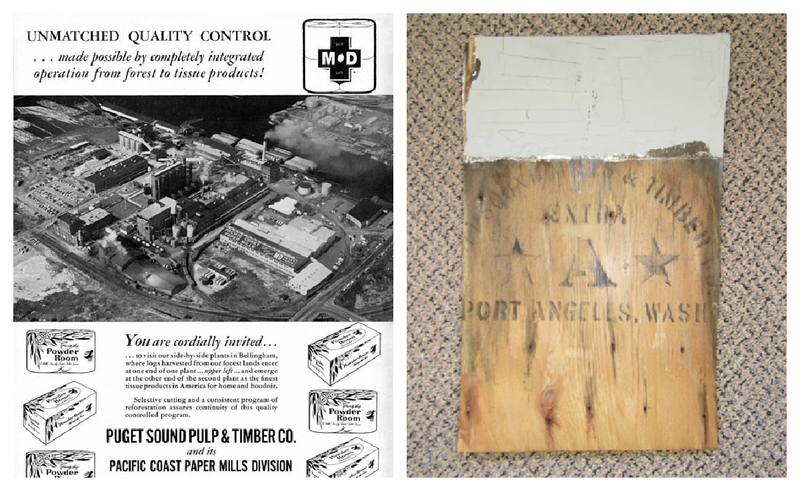 The original siding was manufactured by Puget Sound Mill and Timber Company in Port Angeles, WA. 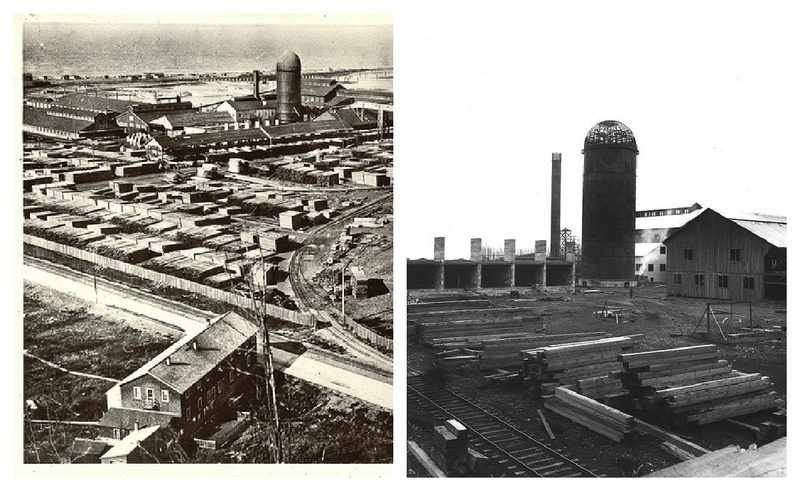 During World War I, the government assigned 27,000 men to the “spruce” division of Puget Sound Mill and Timber. With the stock market crash in 1929, Twin’s fate was sealed and the timber industry was hit hard. 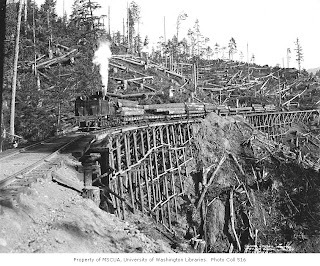 In the early 1930’s Twin’s railway connecting it to the outside world was tore up, this was the end of Puget Sound Mill and Timber Company. The mill was later a pulp mill, purchased by Georgia- Pacific in 1963 and remained open until 2001. 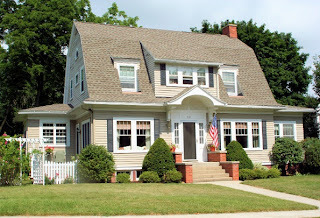 We are replacing the current 90 year old shingles with a high quality siding which will last the owners many more years while keeping the home looking true to its 1922 style. 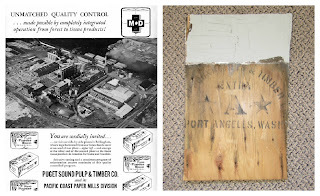 Replacing it with premium grade, sawed and sanded all four sides, and pre-primed all four sides to prevent moisture from penetrating through the back side, over time, moisture from the back side will lead to the surface paint failure. We will share more photos when the project is complete.